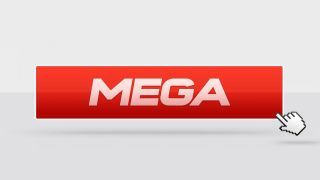 Announced back in November of last year, Mega, Kim Dotcom's ambitious replacement for Megaupload, is set to officially launch to the public on Jan. 19. Details have been scarce on just what Mega would be able to do, though Dotcom made several promises like 50GB of free storage for users, and that Mega wouldn't (technically) be in violation of any U.S. laws. Outside of that though, the exact inner workings of Mega have been kept relatively secret for the past few months. However, on Friday some users were given early access, and thanks to them, we now know a bit more about just what Mega has in mind. At its core, Mega will provide cloud service storage in the same way as similar providers like Dropbox and Google Drive. While there will be a free option, there will also be several paid tiers available for €9.99 (US$13.29, UK£8.39 , AUD$12.66), €19.99 (US$26.59, UK£16.78, AUD$25.34), and €29.99 (US$39.90, UK£25.13, AUD$38.02). Those options will get you 500GB storage/1TB bandwidth, 2TB/4TB, and 4TB/8TB respectively should you need to access both more space and bandwidth. Right now, there is also an inbox and a contacts tab, though as TechCrunch reported, both of those functions haven't been turned on just yet but should be once Mega opens up to everyone. In addition to the base features launching this weekend, Mega also has some big plans for expanding its services in the coming months and year. In two blog posts restricted to early access users, some of these future features were disclosed, painting quite an ambitious picture of where Dotcom wants to take Mega. Both developers and users will see some welcome enhancements coming, such as the ability to better manage file uploads, user-to-user instant messaging, and complete API documentation in the SDK. Most appealing though is the idea that Mega will be going mobile somewhere down the line, as well as have more support for desktop options for "major platforms." Additionally, there are plans for Office-like options, including the ability to create documents and spreadsheets directly in Mega. There are no details on when such facets will be added to Mega's feature set, but if the service truly becomes as robust as Kim Dotcom claimed it will, there will be another serious competitor in the cloud storage space.